Most books or blogs are found by organic search on Google. Knowing this, would you agree that it is extremely important to be easily found in Search Engines? What better then to combine Social Media Networking and visibility on the Internet at once! Participating on Google+ – also written GooglePlus – gives you this advantage. As we receive so many questions how to start with GooglePlus, here is a short introduction how to sign up with Google+, find your followers there, how to post and even connect your Google+ with your Twitter account. The first step is to open a Gmail account, for example TL@gmail.com or Traci.Lawrence@gmail.com or TLawrence@gmail.com or any other email address you like. Once this is done you can sign up at Google+. Watch this video how to do it: https://www.youtube.com/watch?v=bBgy-zY9b04 or this one: http://digitalunite.com/guides/social-networking-blogs/google-plus/how-join-google-plus. A great e-book to learn more about Google is: What the Plus by Guy Kawasaki, available on Kindle, or iBook, B&N, Google, or Kobo (for Nook). On the top navigation of your page, there is an icon, marked “Profile,” which should appear once you roll your mouse over it. From there, you can start building your Google Plus profile. Just like Facebook, Google Plus gives you a main profile photo that acts as your thumbnail when you post text and images or when you engage with other people. Fill out the “tagline” section, and it will show up underneath your name on your profile. Try writing something that sums up your personality, work or hobbies in one short sentence, using important keywords convincing people to follow you. Here, you can write a short or a long note about whatever you want. Most people include a friendly welcome message, or a summary of what they do and what activities they enjoy doing the most. Occupation: In this section, list your current employment position, if you want, or just author. Places lived: List the cities and countries in which you have lived. This will be displayed on a small Google map for people to see when they visit your profile. Other profiles & recommended links: In the sidebar of your “About” page, you can list other social media profiles such as your Facebook, LinkedIn or Twitter profiles. You can also list any links you want, such as a personal website or a blog you enjoy reading. To invite people to your circles (up to 5,000), or to find somebody on Google Plus, simply use the search bar at the top to search for their name. If you find them in your search, press the “Add to circles” button in order to add them to whichever circle or circles you want. For authors the best search phrase is: readers, reviewers, book bloggers, book lovers, avid readers etc. Using Manage Flitter, you can save lots of time, and have your posts (at least the first 140 letters including a link) transferred to Twitter. Read: How-to Automatically Post on Twitter from Your Google+ Page. Under the “Home” tab, there is a small input area you can use to post stories to your profile, which will show up in the streams of people who have added you to their own circles. You can choose posts to be view-able by the public (by everyone on Google Plus, even those outside your circles), by specific circles, or by one or more people. Place up to 500 words of content, including links and add attractive or funny images. Don’t forget to use hashtags. described in this blog post. According to the Digital Buzz and Huffington Post statistics, more than 625,000 People join Google+ EVERY DAY. There were over 500 million users on Google Plus in 2013 and the numbers are growing strong. Get a long list of benefits for Google+ users on our former blog Seven Reasons Why Google is Perfect for Writers and Five Tips for Google Advanced Users. Your presence at Google+ means you are high-ranked from the very moment you post something on your Google+ timeline, your Google+ author and book pages, and certainly when you post on Google+ community pages, even when you re-post and comment on other Google+ posts. Treat Your Google Plus Page Like a Micro Blog, and Post Valuable Content wrote Stephen Walsh at Entrepreneur.com. Don’t just comment and “Plus One” the content of others. Post your own engaging content. Make sure you are updating your Google Plus page on a regular basis. The content needs to be exclusive, valuable, and compelling, both in terms of visuals and substance. Knowing that Google Plus posts are searchable, you should treat them like a micro blog (and a very powerful one at that). For your business page, you should keep the content strictly on topic, but you can use your personal profile to post content on other areas of interest. Just like Twitter, Google+ offers #hashtag benefits to make searching for topics easy. It’s a great way to get found, not only inside Google+, but in the larger world of Google search. If you create a separate page for each of your books and post frequently there, using keywords and #hashtags, your books will appear prominently on Google’s Search Engine – making it easy for potential readers to find you. As the main search engine Google indexes and ranks its own site much higher than any other content. Google+ posts are easily indexed by Google search, and unlike tweets or Facebook posts, are treated much like regular web pages. Whenever you have a new blog post, link to it from Google+, and make that post public. 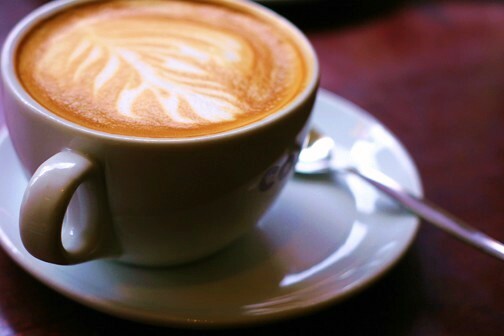 By doing this, you have made your post publicly available both inside Google+ and in Google search results worldwide. Google+ posts that receive the most comments are resource-type articles with a lot of links. Those covering Google+ how-to information are heavily shared, along with any tutorials. Write a killer post and link back to your own blog for additional resources. Use #hashtags with relevant topics so it’s easily found, and you have created an outstanding resource that will get you noticed, and will increase traffic to your blog. The first step in getting results from Google+ is connecting your profile with your blog’s home page. 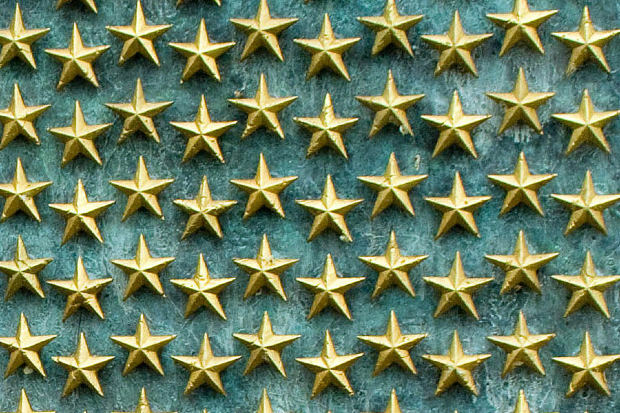 This is the gateway step to claiming your content in the eyes of Google. It will also go far in generating incredible results, including displaying your photo next to your blog post links and a Wikipedia-style profile listing in Google search results whenever anyone searches for your name. For WordPress blog publishers, there’s a very easy way to accomplish this. Google+ shows you how to use Google+ “Direct Connect“. All you need is a Google+ page, and to connect it to the home page of your blog. See how important that #1 step was? Your photo will eventually appear next to your blog posts in Google search results, proofing your are the legitimate author of this content. Take the time to learn Google+ (e.g. with Guy Kawasaki’s book What the Plus?) and engage with your community there. You’ll see results far beyond what any other social network can offer: both social engagement within Google+, and Search Engine Optimization (SEO) in Google. Free Copies of What the Plus! Courtesy of Google. Please share this post, so as many people as possible can get a copy. Read also a short description: How to Get More Followers on Your Google+ Page. Please check out all previous posts of this blog (there are more than 1,020 of them : ) if you haven’t already. Why not sign up to receive them regularly by email? Just click on “Follow” in the upper line on each page – and then on “LIKE” next to it. There is also the “SHARE” button underneath each article where you can submit the article to Pinterest, Google+, Twitter, Facebook, Tumblr and StumpleUpon. Which Social Network is Best for Authors? On Social Media you have an opportunity to talk with your readers, learn about, and empathize with your followers. However, there is not a single perfect Social Media network site for authors, rather a combination of several pages – each one with its pros and cons. Goodreads has more than 20 million members and is THE site for authors. Google+ is an overall great site with endless possibilities to display your book. The “power” of the site is that what you post there is automatically indexed by Google, which makes your post (i.e. a link to your latest blog) so much easier to discover. Twitter is fantastic to build a following and to engage with your readers, and if you write non-fiction LinkedIn might be a good choice too. Facebook remains the “Old Daddy” but others are gaining traction. Don’t forget Pinterest where you can show images of your book, scenes from your book, images of locations where your book takes place – or any other images of things you like. How Do You Choose Your Followers? You want to interact mainly with READERS, NOT writers. The question is: How to find readers? All Social Media sites have a search function on top of the page. Type in: book bloggers, read, reading, book lovers, book club, love reading, reviewer, book worm, love to read, mystery book reader, science fiction reader, YA readers, YA book blogger, readers, word nerd, non-fiction book blogger, reading books, reviewing book… and even librarian. Click on “people” or scroll down a lot, as the first names that appear are often publishers and other commercial accounts. Another method is to type in the name of a very successful book in your genre and find readers there, talking about this book. Follow those readers that you feel belong to your book genre, based on what they say in their tweets. Re-tweet their posts, engage in meaningful conversation, be funny or refer to blog posts you wrote, but don’t mention your book. They will find out about it soon enough. Make it as easy and convenient as possible for your fellow “tweeps” to engage and interact with you. If you are looking for readers and reviewers – choose readers and reviewers and follow them! A “Must” for every writer: millions of readers, thousands of groups for every genre you might join, extra book pages, space for your blog, book trailer and quotes on your author page. Book launches and other events can be posted, and the Giveaway is a great opportunity to get exposure for your book. Read: How to Create Buzz for Your Upcoming Book on Goodreads. Upload with one click all your Google, Twitter and Facebook followers and have them as friends on Goodreads. Choose like-minded, interesting people and lots of readers for your Google+ circles. You can easily and fast build your own circles. Get tips here on this free PDF by Guy Kawasaki. To save a lot of time for personalized connecting with your followers, create a file with tweets, and add regularly news you might find on Internet magazines and literary / publishing blogs, and use Hootsuite or Futuretweets to schedule your posts for the next day or even weeks in advance. With Hootsuite you can even find the best time to tweet through their “Auto-Schedule” function. Scheduling frees you time to communicate whenever you like with your readers, without being all day on Social Media sites. Write about interesting events and things, give valuable advice, news, quotes or funny stories. Re-tweet interesting posts of your followers or snippets of your blog. No one joins Twitter, Facebook, Google+ or Pinterest to constantly read about your book. That’s not very entertaining or interesting at all. On Google+, Twitter, Pinterest, Facebook and Goodreads you have the option to open a separate site for your book(s) – on Google+ up to 50 pages. You can also start communities on Google+, as well as on Facebook and certainly on Goodreads. Take advantage of these wonderful and free opportunities! The time you spend posting cannot only considerable minimized through scheduling, but also through connecting your blog with your Social Media sites and in connecting them with each other through plug-ins. For example: you can set up your social media presences on Google+, Twitter, LinkedIn, Goodreads, Facebook or Tumblr and StumpleUpon, to connect them with each other. Post something on Google+ and it will automatically be a tweet. Schedule a tweet and it will automatically go to several other Social Media sites. Your blog can appear on Goodreads and up to 500 characters on Google+ too. See also: How-to Automatically Post on Twitter from Your Google+ Page. Read also: 9 Things Authors Should Never Do on Twitter and 3 Top Rules to Follow on Social Media. Always remember: Your presence on Social Media is your shop window. Not only should you have a great cover for your book, but also a professional photo on all Social Media sites – not and image of your dog, cat, car, wedding photo, party images and the like. Last but not least: Have fun on meeting your readers on Social Media! Or visit http://www.international-ebooks.com/book-promo to advertise your new book, specials or your KDP Select Free Days. Please check out all previous posts of this blog (there are more than 930 of them : ) if you haven’t already. Why not sign up to receive them regularly by email? Just click on “Follow” in the upper line on each page – and then on “LIKE” next to it. There is also the “SHARE” button underneath each article where you can submit the article to Pinterest, Google+, Twitter, Facebook, Tumblr and StumpleUpon. Everyone wants to be listed high on Google’s search engine results. You write a blog post, tweet, update your website or add otherwise content to the web. Google bots, crawling the web, are coming across your post. The page is indexed within seconds. Google estimates the domain and pages’ overall authority, based on links. Page rank depends on a few factors, such as the number of Web pages that link to your site, the frequency of keywords within your site and how long your site exists on the internet. However, with Google+ it’s completely different: your presence at Google+ means you are high-ranked from the moment you post something on your Google+ timeline or your Google+ pages. All you need is a Google+ page, and to connect it to the home page of your blog. See how important that #1 step was? Your photo will eventually appear next to your blog posts in Google search results. Google+, now since over a year in the social media scene, keeps growing and growing. Google+ had 250 million registered users and rising in August 20112 and is now the fastest-growing social media site in history. Although Facebook is currently the industry leader for social media, some think Google Plus could beat Facebook. After all, Google has the benefit of learning from Facebook’s mistakes and creating a better social media site to fit user needs. 1. Followers can be found much easier and faster than in any other social media network. One can build “Circles” with hundreds or thousands of followers out of existing groups which are easily identified by key words. For sample, to create my first circles I have choosen: readers, writers, publishers, photographers, librarians, book reviewers, book lovers etc. and also some “private” circles. Within days I had 5,000 people in my circles and at that time over 1,500 had already choosen to have me in their circles. Perfect for a big audience! Search for useful connections you know from the real world and other social networks to include in your Google+ circles. can post an entire article if you like. “Like” or “Share” articles or images that others posted with one single click. 4. Perfect for authors: Create a Google+ Business Account – easy and free. The Google+ platform allows for every business to act as an individual in many forms. Adding to the depth of their overall platform is the inspiring development of the local options, using the Local Google+ pages. The interface is simple, you can see everything at one go, and adding or removing a page from a circle doesn’t require you to dig deep into the system. 5. Easy to upload images, lots of them, and video allow authors to post cover photos of their books, book descriptions, authors’ bio, their book trailer and a link to Amazon or other book sales pages. Post free book images or photos to illustrate your books’ content – if you want, several times a day – and if you have enough followers in your circle, to not bore them with your book announcements. By consistently posting on the same topics and growing your Google+ followers, you help Google drive even more customers to your site. 6. Use Google Talk or chat with friends, customers and readers. In your left sidebar, you have an option to connect with people in through chat. It’s similar to the same chat feature in Gmail, also known as Google Talk, where the indicators will show you if someone is online and if they are available for a text chat (a green dot) or a video chat (a green video camera). When you click on their name, a little chat window will pop up at the bottom right side of your screen so you can start chatting. 7. Google is attaching author information to Google search results. Thanks to this new author information service from Google, it will be easier for people to identify the initial or original source of a blog post or article. Google is verifying that the blog post was written by this person. Link from your blog (or your website), to your Google Profile and then, you link from your Google Profile back to your blog. I hope everyone gets as much joy and value from Google+ as I do. 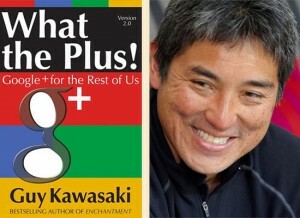 In his book Guy Kawasaki explains “what the plus” makes Google+ special. Topics include: How to circle people, how to perfect your profile, how to craft effective posts, how to comment, how to respond to comments, and how to share photographs. book buyers to purchase directly on the authors Google+ business site. This feature alone helps to set Google+ high above the other social networks.